Save money on lawn maintenance and club fees – install your own putting green today! Our Nylon Tee Line 1-Tone features a pine green color and an approximate 1” pile height specifically designed for putting greens. With its superior impact durability, the Nylon Tee Line 1-Tone can replicate tee boxes and driving range surfaces. The lead free, low-maintenance Nylon Tee Line 1-Tone can hold a traditional golf tee, no rubber tees are necessary! Featuring an approximate 120 ounce face weight, Nylon Tee Line 1-Tone is the top choice for any commercial or residential putting green area! 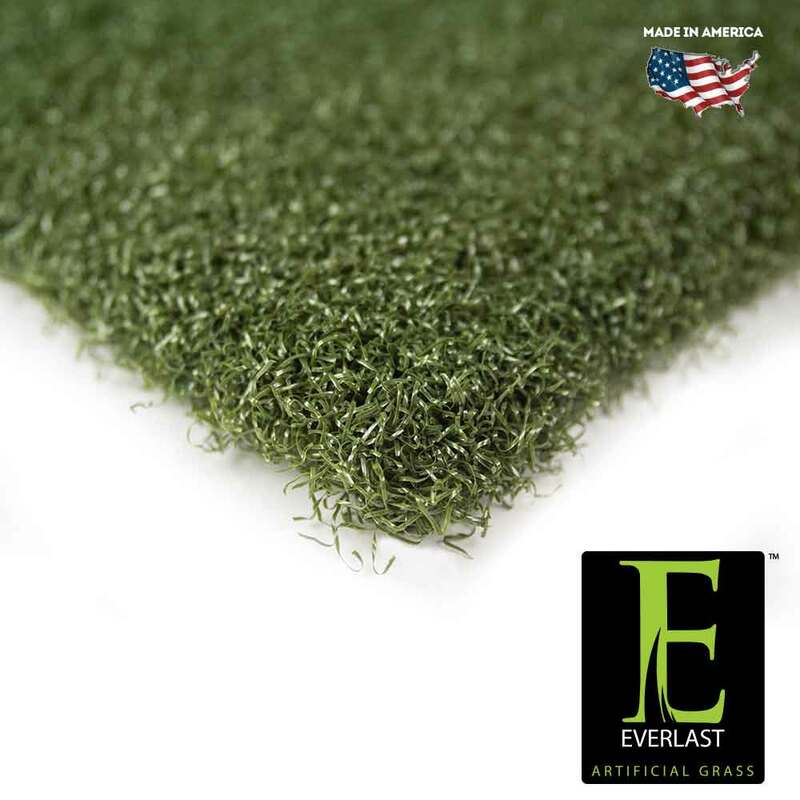 Backed by our 8 year putting green warranty, Nylon Tee Line 1-Tone is the ideal putting green surface for any personal putting green, driving range, or putting experience! Nylon Tee Line 1-Tone is sure to last for many years, so putt the day away and Make your friends green with envy with your own putting green!